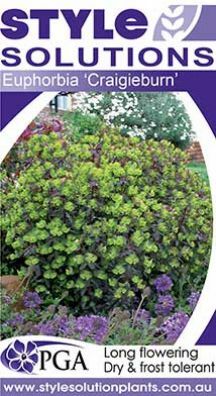 • Year round ornamental foliage of deep plum colour accented by red tips of new growth. • Can tolerate very dry conditions. • Easy and fast growing for quick results. 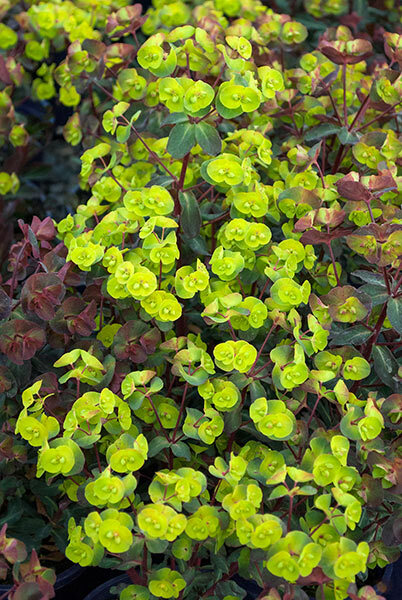 • Sprays of vibrant, lime green flowers are produced throughout the warmer months. • Adding permanent structure and colour to mixed borders. • Small spaces or gardens as well as containers. 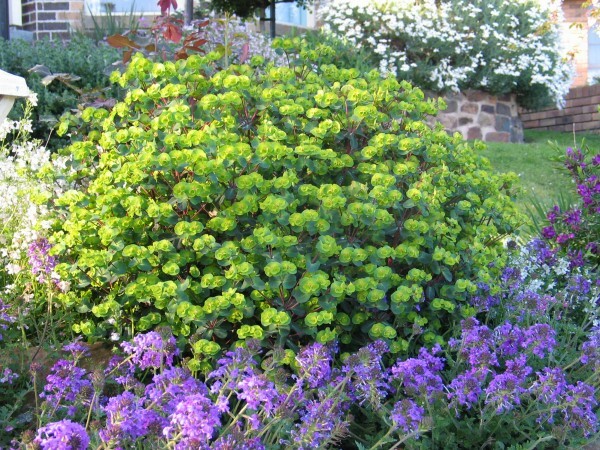 • Water wise, gravel or dry style gardens. 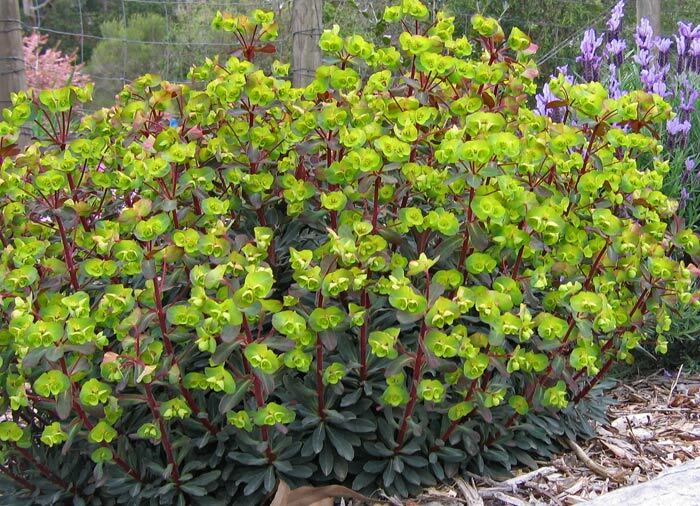 Grows well in most soils which are well draining. Once established water requirements are low but do not allow to dry out over extended periods of heat. 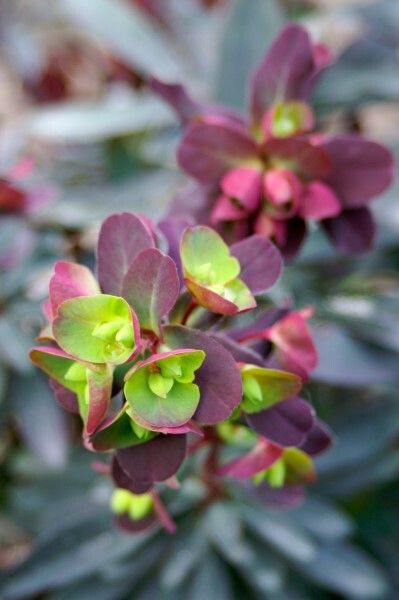 Generally no pruning required other than removal of spent flower stems to encourage bushy growth. When pruning use gloves as sap can be irritating to skin and eyes. Apply a slow release fertilser during spring for best results.